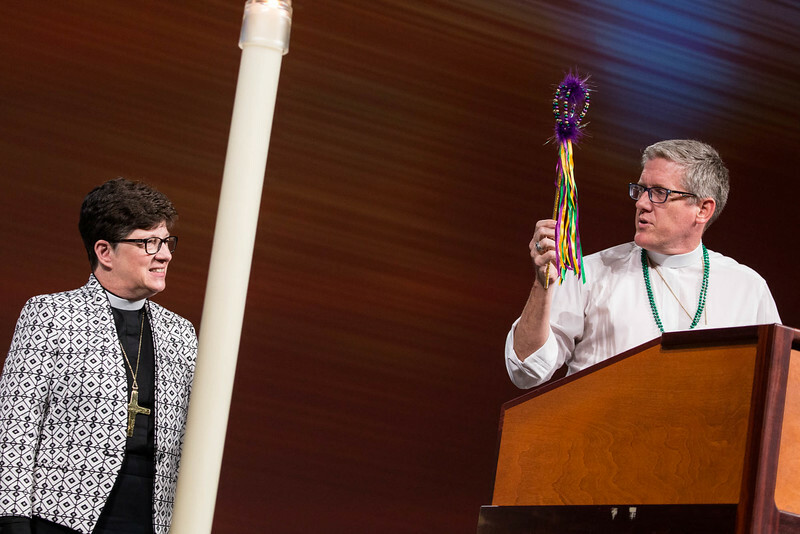 080816 - New Orleans, LA - The 2016 Churchwide Assembly begins with a welcome from Presiding Bishop Elizabeth Eaton. The Texas-Louisiana Synod also welcomed guests. Bishop Eaton went over rules for voting and other items pertaining to the order of business. Bishop Michael Rinehart from the Texas-Louisiana Gulf Coast Synod offers gifts to Bishop Eaton.